You can find more than 58,000 pictures of Amber Heard in the extended Photo Gallery of the website. Click here to access the photo gallery. A mysterious killer, Lily, offers to help Ted Severson, that she meets on a late-night flight from London to Boston, to murder his unfaithful wife. Aquaman is the King of the Seven Seas. Leader of Atlantis, he is caught between the surface world constantly ravaging the seas and Atlanteans looking to lash out in revolt. View More / Apply ? Check this select list to see older news of the website, classified per month and year. Like that you'll can see all Amber Heard related news from 2009 to today!  Amber Heard Fan is a non-profit fansite about actress Amber Heard. This is not the official Amber Heard's Website. It's solely intended to provide many information about the actress, her latest news and to provide many exclusive pictures on the actress for other fans. I have no contact with Amber Heard, her family or her agent. All pictures, videos and other media are copyright to their respective owners, no copyright infringement is ever intended. Thank you for respecting my work on that website. If you need to contact me you can do it here. Hello ! Amber Heard was at Wailea, Hawaii on June 13th, 2018 for the opening of the 2018 Maui Film Festival. She was honored by the 2018 Shining Star Award. I’ve uploaded pictures of this event, and a beautiful portrait taken by Phillip Faraone. Amber Heard attended the 2018 CFDA Fashion Awards on June 4th at the Brooklyn Museum in New York City. She was lovely in a black sequin tuxedo jacket, a white ruffle blouse with a bow brooch, and black sequin pants. You can find pictures in the gallery. Hello ! Amber Heard was at the 71st annual Cannes Film Festival this year, for her official announcement that she joins L’Oréal as a global ambassador. She attended two movies premiere : ‘Sorry Angel’ and ‘Girls Of The Sun (Les Filles Du Soleil)’. I’ve uploaded pictures of this premiere, and also a lot of candids of Amber in the “Croisette“. Hello ! L’Oréal Paris announced that actress Amber Heard has joined their roster of celebrity ambassadors during the Cannes Film Festival, and Amber too on her Instagram account. Amber Heard has hosted a number of talks for the brand as part of ‘The Worth It Show‘ series during the festival. She joins a group of impressive women, including Neelam Gill, Dame Helen Mirren, Julianne Moore, Camila Cabello, and Eva Longoria. You can find her first official photoshoots for l’Oréal in the gallery. Every year on May 20th, Levi’s® celebrates the jean that started it all – the 501® – with a global celebration. This year, Amber make an apparition in the video of Levi’s for this day. Take a look below of the photoshoot and video of this campaign taken by Matthew Welch.